A proper diet and nutritional supplementation program are essential for optimal health in today’s world. Dietary intervention and nutritional supplementation are the important first step of our treatment program. Most of the pre-prepared food that we eat is very poor quality, low in essential nutrients, and at worst, is actually toxic. 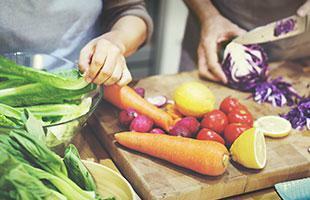 Many of the chronic diseases that affect us today are caused by eating the wrong foods. We all need to get back to a more natural whole foods-based diet. However, there is no one diet that is perfect for all people. Genetic testing through Pathway Fit (available at our office) can show that some people need a higher fat/lower carb diet, and some will do better on the opposite. But we all need to drastically increase our vegetable consumption. An ideal dinner plate for most would be approximately one half fresh salad with many raw ingredients, one fourth a cooked vegetable, and about another quarter of lean protein, and for some maybe a gluten-free starch such as sweet potato or quinoa included. This is drastically different than the typical American meal. All healthy diets need to remove common toxic or unhealthy ingredients such as high fructose corn syrup (HFCS), Trans fat (any partially-hydrogenated oils), Monosodium Glutamate (MSG, a neurotoxin), artificial colors and flavors, and preservatives. Organic meats are raised without hormones and antibiotics, and are often grass-fed, yielding higher omega-3 content. Organic fruits and vegetables are also important, not only for their low pesticide content, but because they are more nutritious than conventionally-grown produce. 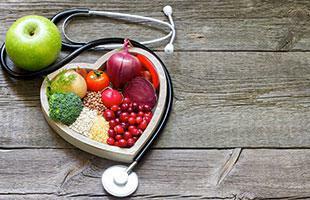 Your doctor will discuss with you a diet that will help you achieve optimal health and weight. In an ideal world, all of our foods would be organic, but since those foods are often more expensive, many people have to prioritize which foods to buy organic. Your top organic priorities should be those items that would otherwise have the highest level of pesticides. The Environmental Working Group (www.ewg.org) has listed the top 12 fruits and vegetables with the highest pesticide load (the “Dirty Dozen”), and the 15 top foods that are safer to buy even when they are conventionally grown with pesticides (the “Clean 15”). Use those lists as your shopping guide. Nutritional supplements are an important part of any health program. In today’s world, it is essentially impossible to obtain all of the nutrients that we need from our food, even if we are eating a healthy diet. The truth is that optimal levels of most nutrients are higher than we can reasonably get from our foods. For example, Vitamin D has been found to be incredibly important for the immune system and brain development in children, among many other things. It helps prevent colds and the flu, and cuts the risk of many kinds of cancer in half. If we spent most of our day outside in the sun near the equator without clothing or sunscreen, we would get enough of this important vitamin, but that is unrealistic today. The RDA for this vitamin is way too low (200 iu for children and 400 iu for adults). Most kids need between 2000 – 5000 units per day, and most adults need 5000 – 10,000 units per day of D3. It is important to check your blood level periodically to make sure that you are getting the right amount of this critical nutrient. Omega-3 oils are also very important. Omega-3 is an essential nutrient that essentially no one gets enough of from their diets. Omega-3 is critical as an anti-inflammatory. It helps your brain, the immune system, the entire cardiovascular system, the visual system, your joints – essentially everything in your body. Eating fish frequently is one way to get enough DHA and EPA – the two most important omega-3 oils – but it is not safe to eat that much fish today (especially large fish like tuna, mahi-mahi, swordfish, etc.) due to the content of mercury and other pollutants. Only by taking purified, molecularly distilled fish oil supplements can we safely get enough of these essential compounds. Most adults need at least 2000 mg per day of EPA + DHA combined, and almost no one is getting that from our food. A simple blood test at our office can show if your omega-3 content is high enough for optimal health. For many, immune boosters such as fermented mushroom extracts can enhance the microbe-killing capacity of our white blood cells, which may have been weakened by stress, chronic infections, toxicity, or poor nutrition. Daily probiotics are essential for gut and immune health. There are other supplements such as grapefruit seed extract (GSE) that help to fight yeast overgrowth in the GI tract – a common problem causing many symptoms such as fatigue, brain fog, sugar cravings, and itchiness. Curcumin is an important anti-inflammatory supplement that studies show also helps to prevent cancer. For those on hormone replacement protocols, special supplements that help the body process hormones in healthy ways are often helpful, such as DIM (a broccoli extract), iodine (which helps prevent breast cancer and fibrocystic breasts), folate and methyl B12, and for men, saw palmetto. Those who are toxic or have mood and anxiety disorders frequently have genetic mutations in genes such as MTHFR and COMT which we can test for. In these cases, supplements that enhance methylation and glutathione production are critical for long-term health. Anti-inflammatory and anti-oxidant supplements are essential to prevent the long-term diseases of aging, like heart disease, cancer and dementia, and to help eliminate common problems such as migraine headaches and asthma. There are many more kinds of nutritional supplements that can be important depending on the health issues involved. 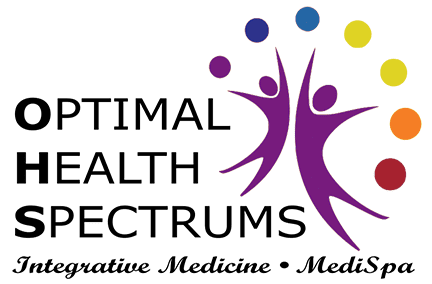 While every individual’s needs will vary, overall, a good broad-spectrum supplementation program is an essential component of an optimal health treatment plan for any person – young or old.